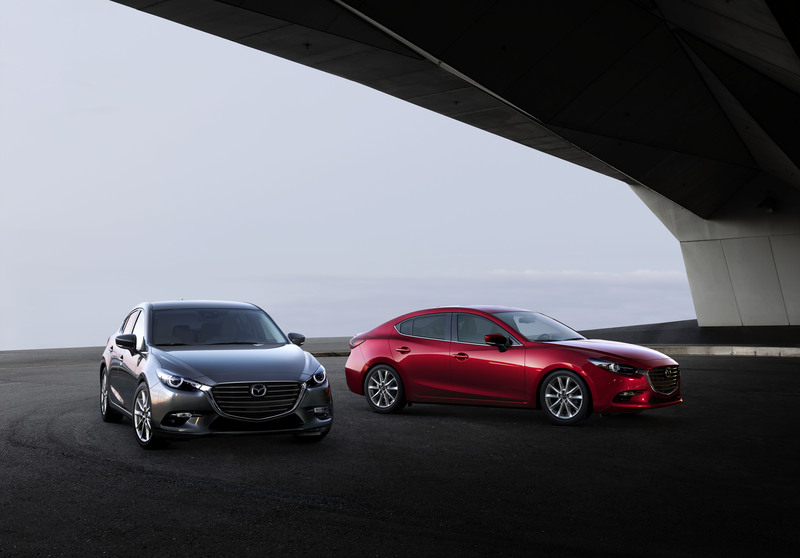 Year in and year out, Mazda3 collects accolades for its design, safety and value, all helping make it the best-selling Mazda in the world. The 2018 Mazda3 receives newly standard features that continue to reinforce the philosophy of putting people first. More safety features at more accessible price points will provide occupants with enhanced peace of mind. Available as a sedan or a hatchback, this compact car is able to handle all sorts of lifestyles, from active to family and everything in between. While passengers can appreciate the premium interior features, the driver will enjoy the driving dynamics set by the philosophy of Jinba Ittai—a harmony between the car and the driver. Subtle exterior tweaks for 2018 elevate the vehicle’s KODO—Soul of Motion design, and help it stand out for its purity of design in addition to its purpose for drivers who appreciate style and substance.